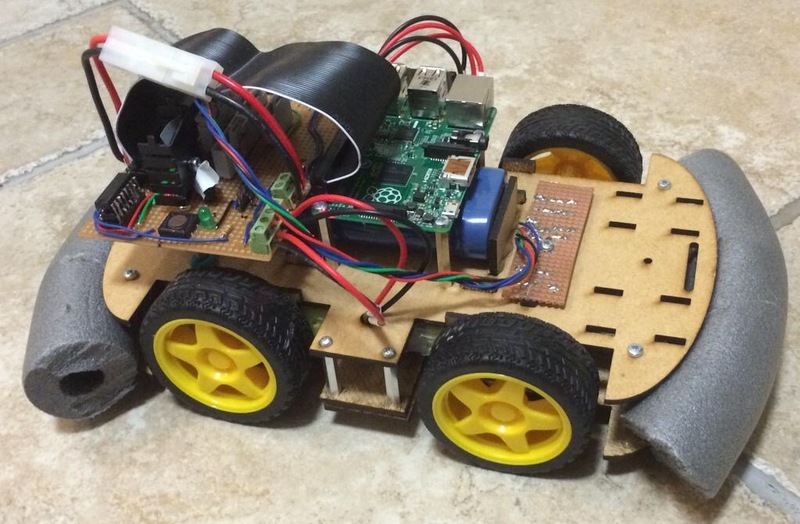 With applications now open for Pi Wars 2015 we thought it would be good if other competitors could make use of all the hard work that went into TractorBot last year. It turns out it is actually quite a lot of work to Open Source a project, we do not want to delay the launch of this project, so we are therefore making the files available as soon as they are ready on a rolling release basis. Today the hardware source files are now officially available under the Cern Open Hardware v1.2 license. This essentially allows the source files to be used for any legal purpose as long as attribution is given to Ipswich Makersapce and the license is included in any redistribution. We are working on the software source code, ensuring all dependencies are made clear and installation instructions are being written. We are also drawing up the schematics for the interface board. As soon as these are ready they will also be released. To get the source files, visit our Git Hub repository. We really hope Open Sourcing this project will be helpful. if you have any questions please raise them on our forums.